It’s been quite cold during last week (especially the nights) compared to the unusually hot/humid September we’ve had. So it wasn’t a great surprise when I saw snow on Mt. Yotei, but trying to get a clear shot of has proven difficult due to cloud cover. This morning the peak was revealed, and although it was a hazy morning, it was clear enough to see some details. Great to see the first signs of winter coming on! Will you guys be doing the daily snow reports again this year? 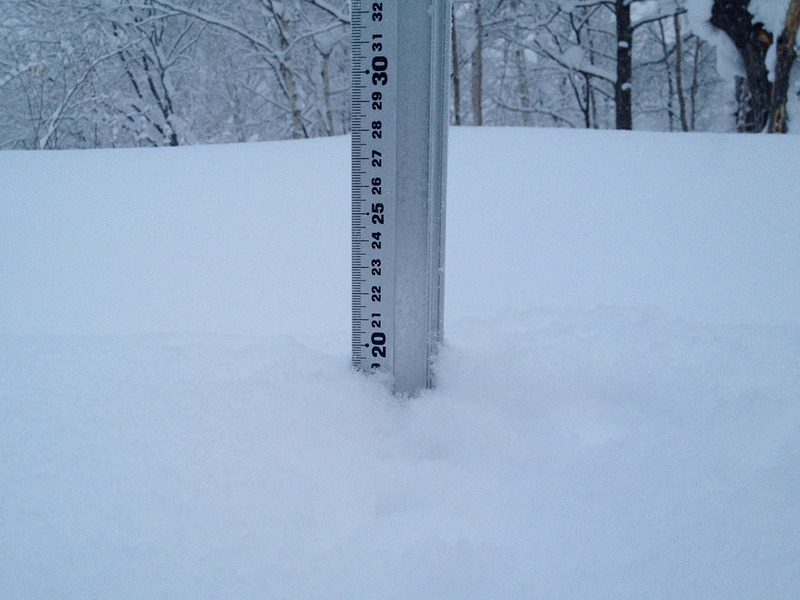 Thanks Aaron – yep…well be doing the snow report again this year, but this time from 2 locations [one in Hirafu village and another about 5 mins out of the village] so we can get a little more perspective. Nice one Rod – we will be rolling up our sleeves and producing daily snow reports again this season. Looks like the first snow fall in Hirafu village isn’t too far off.